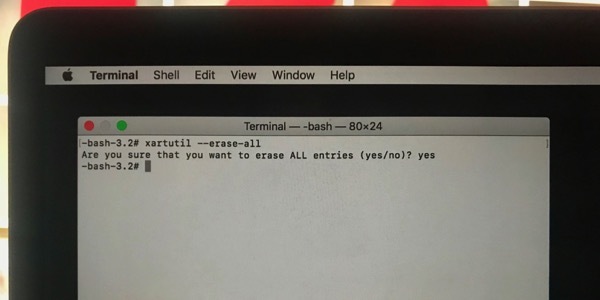 Apple has recommended an extra step when erasing the data on your MacBook Pro with Touch Bar before giving it away, that requires an obscure Terminal command which isn’t usually needed on other Macs (via 9to5Mac). While it is not yet clear what Touch Bar data is stored and being erased, Apple says on its website that users should use this command to clear information that the Touch Bar stores in addition to erasing macOS. Start up from macOS Recovery — Hold down Command-R on your keyboard immediately after pressing the power button to turn on your Mac, or immediately after your Mac begins to restart. 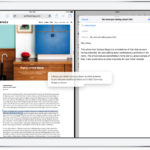 Press Return, type yes when asked if you’re sure, and then press Return again. Finally, choose Terminal > Quit Terminal and proceed to the next step. This should can clear any information that has been stored by the Touch Bar on your MacBook Pro.